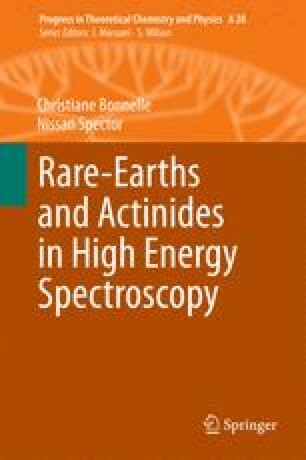 The various radiative and non-radiative processes in the rare-earths irradiated by photons and electrons are discussed. Notions as resonant lines, transitions in the presence of a spectator electron, Auger transition, scattering and fluorescence are explained. The accent is put on the experimental techniques, which can establish the presence of localized nf electrons. Interpretation of the experimental results using a theoretical model is presented. The spectra of lanthanum are given as an example.